Kay Weathers started making a name for herself within the Houston community in 2007. She's played in multiple bands utilizing her voice, bass and guitar. She established her own trio playing acoustic guitar under her real name, Jennifer O'Brien, together with a cellist and violin player. She also had a brief stint as a singer for local indie band We Scare Coyotes, but it was her work as the primary writer for Beach Bones where you can see how the seriousness of her craft was starting to come into fruition. 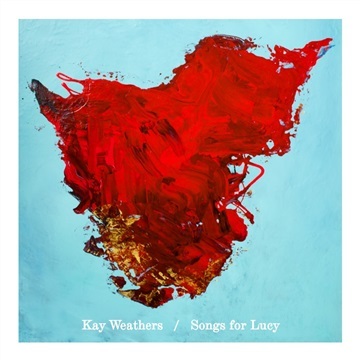 And now emerges Kay Weathers with her freshly polished sound consisting of guitar and keyboard loops, along with a powerful message that only comes with time and experience. Her femme fatale delivery derives of influences varying from Fionna Apple to the soundscapes and atmosphere of Radiohead. Her inspirations come from her own personal relationships in life. The upcoming EP compromises of introspective songs about heartbreak, death, and friendship. The music is alluringly haunting with ambient undertones, and the vocals take on a siren's song quality, enticing the listener then guiding them through the sometimes sublime yet heavy-hearted consequences of losing love.